Penn State Berks is holding an activity book drive to benefit the Migrant Education Program (MEP) at Lauer’s Park Elementary School. The college will collect two specific activity books: Big First Grade Workbook and Second Grade Big Workbook, both by School Zone Staff. The books will be distributed to the MEP at Lauer’s Park beginning October 15. Both books are available for purchase in the Penn State Berks Bookstore and will be collected from September 4 through October 12. Designated collection boxes will be located in the lobbies of the Franco Building, Gaige Technology and Business Innovation Building and Perkins Student Center. 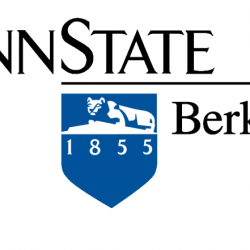 Penn State Berks has a long-standing partnership with the Reading School District. Lauer’s Park Elementary School is the site of the Professional Development School. As an extension of the college’s Early Childhood and Adolescent Education degree program, the Professional Development School was established in 2014, in part to help prepare student teachers and to form partnerships with parents and caregivers. The U.S. Department of Education’s Office of Migrant Education supports high quality educational programs for migratory children. This collection drive is sponsored by the Penn State Berks Common Reading Program and the Center for Academic Community Engagement at Penn State Berks. For more information, contact Tara Beecham, Lecturer in Writing and Coordinator of the Common Reading Program, at [email protected] or 610-396-6409.